Posted on March 1, 2013 at 5:32 pm. In this Lesson 8 of the 10-part video series, you’ll also learn the three simple skills parents need to prevent teen use, including Bonding, setting Boundaries and Monitoring to be sure teens stay in an alcohol- and drug-free social environment. Click here to access the downloadable handouts that go with the lesson eight. Click here to view SFP video Lesson 8. *The Strengthening Families Program (SFP), which are normally group classes that parents and youth attend together, was created in 1982 with funding from the National Institute of Drug Abuse. It has been proven effective in several randomized control studies to improve communication, problem solving and family unity, and decrease family conflict and teen alcohol and drug use. Classes are taught in 50 states and 17 foreign countries. The Utah chapter of Mothers Against Drunk Driving partnered with the program creator to put those same research-proven SFP skills in an inexpensive entertaining DVD format for parents and children to watch together at home. 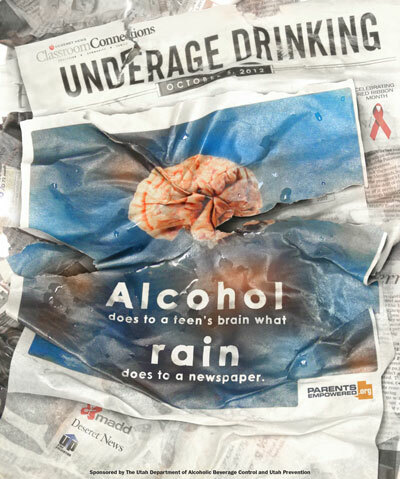 ParentsEmpowered requested that Lesson 8 be made available to everyone via the Internet to help prevent underage drinking.